General Walt Natynczyk is a native of Winnipeg, Manitoba. He joined the Canadian Forces in 1975 after spending five years as an Air Cadet. He has served in numerous regimental command positions at all levels from tank troop leader up to commanding officer of The Royal Canadian Dragoons. General Natynczyk's operational experience consists of four years on NATO duty in Germany; six months of UN peacekeeping duties in Cyprus (1989); a one-year-long mission with the United Nations in the Former Yugoslavia as Sector South-West Chief of Operations in Bosnia and Herzegovina (1994) with British forces, then as the Chief of Land Operations, UNPROFOR HQ in Zagreb, Croatia (1995). He commanded The Royal Canadian Dragoons in domestic operations during the Winnipeg floods of 1997 as well as in the Ottawa region during the 1998 Ice Storm. 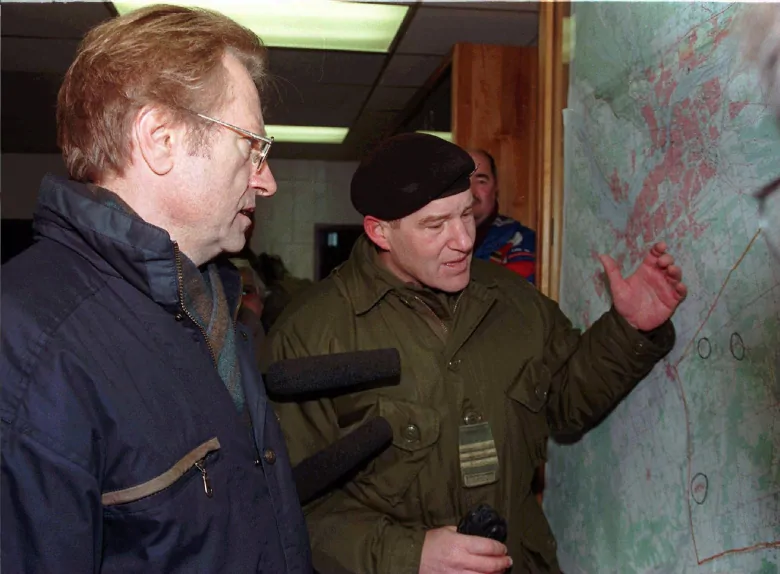 He returned to Bosnia-Herzegovina in 1998-1999, where he served as the Canadian Contingent Commander. As an exchange officer, he served as Deputy Commanding General, III (US) Armored Corps and Fort Hood, Texas and deployed with the Corps to Baghdad, Iraq throughout 2004, serving first as the Deputy Director of Strategy, Policy and Plans and subsequently as the Deputy Commanding General of the Multi-National Corps. 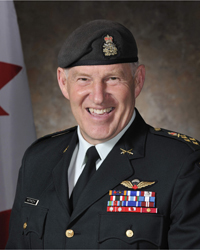 Upon his return to Canada, he assumed command of the Canadian Army's Doctrine and Training System. He was subsequently appointed Chief of Transformation where he was responsible for implementation of the force restructure. He served as the Vice Chief of the Defence Staff from 2006-2008. General Natynczyk served as Canada's Chief of Defence Staff from 2 July 2008 to 29 October 2012. Key events over his tenure were the combat mission in Afghanistan, the 2010 Winter Olympics, humanitarian support to Haiti and the NATO mission over Libya. General Natynczyk attended Royal Roads Military College, Victoria, BC and Collège Militaire Royal, Saint-Jean, QC (Business Administration). He is a graduate of the Canadian Forces Command and Staff College, the U.K. All-Arms Tactics Course and the US Army War College (Master in Defence Studies). His decorations include the Commander of the Order of Military Merit (Canada), the Meritorious Service Cross (Canada), the Commander Legion of Merit (US), Commander Légion d’Honneur (France), Commander's Cross of the Order of Merit (Poland) and the Medal of Merit in Gold (Netherlands). He enjoys jogging and sailing. He and his wife Leslie have three children, Margaret, William and John, who are serving in the Canadian Navy, Air Force and Army respectively. General Natynczyk’s most recent position was as President of the Canadian Space Agency from August 2013 to November 2014. On November 3, 2014, he began his role as Deputy Minister of Veterans Affairs Canada. General Walter Natynczyk (retired), Chief of the Defence Staff climbed out of a Leopard 2A6M tank with the Lord Strathcona's Horse (Royal Canadians) during his visit to Exercise Maple Resolve in Wainwright, Alberta on October 19, 2012. During Operation NANOOK 11, Governor General David Johnston, General Walt Natyncyk, Chief of the Defence Staff and General Knud Bartels, Danish Chief of Defence, at Iqaluit Airport. 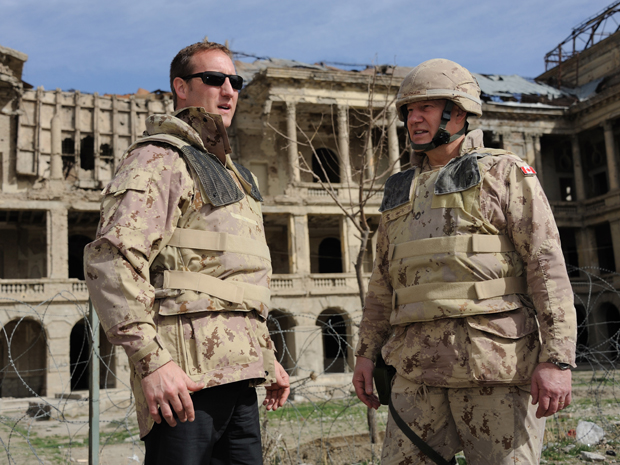 The Minister of National Defence (MND), the Honourable Peter MacKay and the Chief of the Defence Staff (CDS) General Walter Natynczyk in front of the Kings Palace in Kabul, Afghanistan on March 15th, 2011 during OP Athena, which was Canada’s participation in the International Security Assistance Force (ISAF) in Afghanistan. 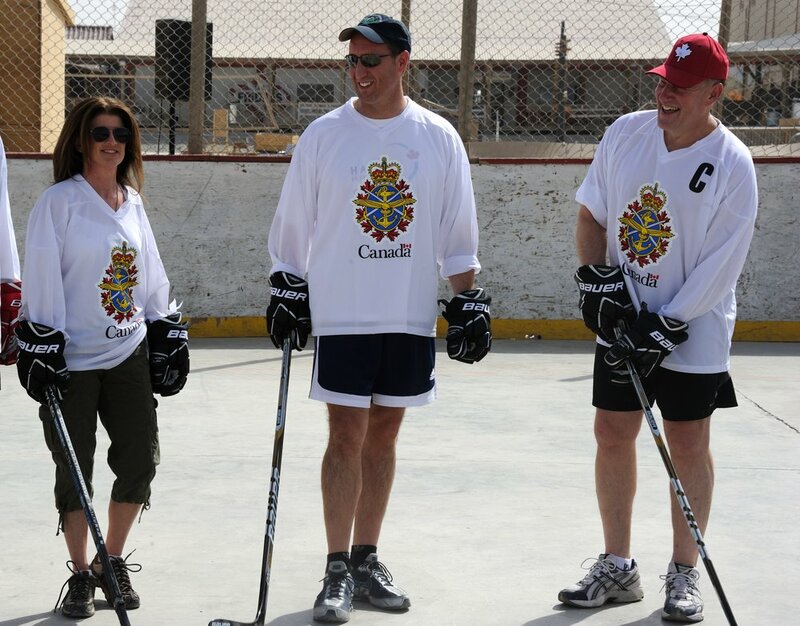 The Honourable Rona Ambrose, Minster of Public Works and Government Services Canada, the Honourable, Peter MacKay, Minister of National Defence and Chief of Defence Staff, General Walt Natynczyk line up for the singing of the Canadian National Anthem prior to a friendly game of ball hockey at Kandahar Airfield Afghanistan on July 2nd, 2011. 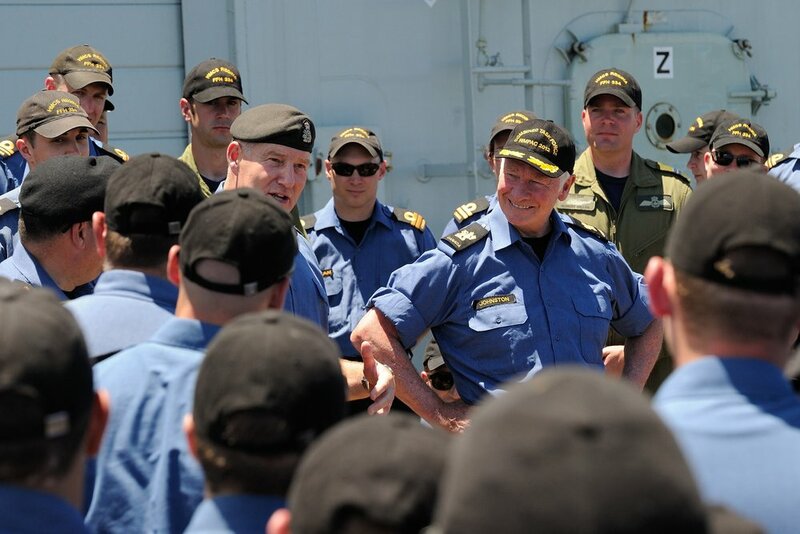 His Excellency the Right Honourable David Johnston, Governor General and Commander-in-Chief of Canada, and General Walter Natynczyk, Chief of the Defence Staff, visited Her Majesty's Canadian Ship (HMCS) Regina, in Pearl Harbour, on July 20. 1,400 Canadian sailors, soldiers, and airmen and airwomen participated in the Rim of the Pacific (RIMPAC) 2012 combined and joint exercise, taking place near the Hawaiian Islands.